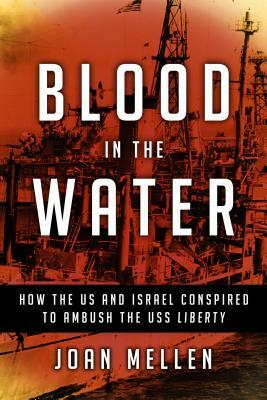 On June 8, 1967, the USS Liberty, an unarmed intelligence ship reporting to the Joint Chiefs of Staff under the auspices of the National Security Agency, was positioned in international waters off the coast of Egypt when it was attacked with deadly violence by unmarked jet planes firing rockets and machine guns and throwing napalm onto its deck. This ambush was followed by a torpedo strike that blew a forty-foot hole in the starboard side of the ship. Lacking the capacity to defend themselves, thirty-four sailors were killed and 174 wounded, many for life. By the end of the day, Israel had confessed to having been the aggressor, simultaneously arguing that the attack had been an "accident" and a "mistake." Joan Mellen is professor emerita at Temple University, where she taught literature and creative writing for fifty years, and the author of twenty-four books including, most recently, Faustian Bargains: Lyndon Johnson and Mac Wallace in the Robber Baron Culture of Texas; The Great Game in Cuba: CIA and the Cuban Revolution; Our Man in Haiti: George de Mohrenschildt and the CIA in the Nightmare Republic; and A Farewell to Justice: Jim Garrison, JFK's Assassination and the Case That Should Have Changed History. She is a winner of Temple's Great Teacher Award, a lifetime achievement award, and a Temple University Faculty Award for Creative Achievement. Her media appearances include C-SPAN Book TV and NBC's Today show.